For decades, people avoided cholesterol-rich foods due to the fear that they would increase their risk of heart disease. This, in turn, has pushed many of us away from eating a lot of healthy foods like; eggs, butter, red meat that were once staples in our everyday diet. Yet, recent research shows that consuming these healthy foods, that are high in cholesterol, won’t harm your health. What’s more, many cholesterol-rich foods are loaded with important nutrients that many of us have become deficient in due to our more modern approach of eating. In this article I will explain why most cholesterol-rich foods should not be feared and list which ones to focus on and which ones should be avoided. Cholesterol is a waxy substance produced by the liver and plays a significant role in the production of hormones, vitamin D and the bile necessary for digesting fats. However, cholesterol can also be introduced through the consumption of certain types of food, particularly animal products. 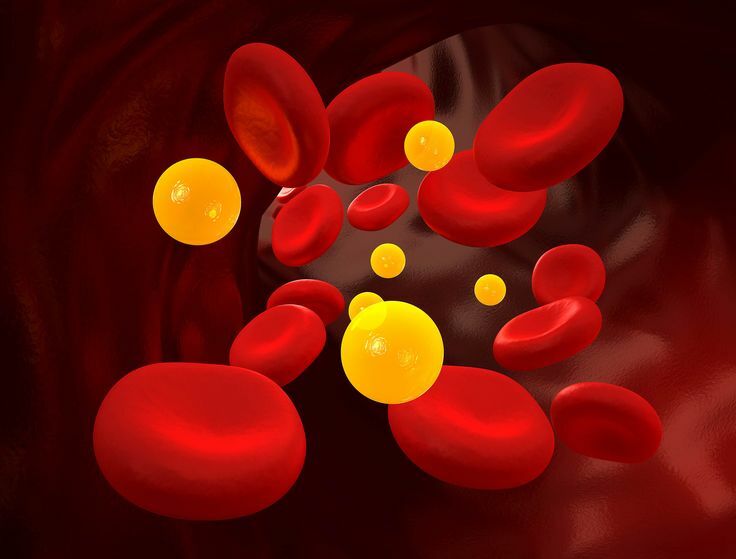 And since cholesterol doesn’t mix well with liquids (blood), it’s transported by particles called lipoproteins, including low-density and high-density lipoprotein or what is commonly referred to as LDL and HDL. When you consume extra dietary cholesterol, your body automatically compensates, by reducing the amount of cholesterol that it naturally produces. While dietary cholesterol may slightly impact cholesterol levels in some individuals, this isn’t an issue for the majority of people. Therefore, while research shows that it’s unnecessary for most people to avoid dietary cholesterol, keep in mind that not all cholesterol-containing foods are created equal. Since cheese is high in calories, stick to the recommended servings of 1 to 2 ounces per day. Cholesterol-rich organ meats such as heart, kidney and liver are highly nutritious. Sardines are not only loaded with nutrients but also a tasty protein source that can be added to a wide variety of dishes or used as a convenient carry along food. Eggs, cheese, shellfish, pastured beef, organ meats, sardines and full-fat yogurt are cholesterol-rich, nutritious foods that make healthy additions to your diet. Fried foods such as deep-fried meats and cheese sticks are high in cholesterol and should be avoided as much as possible. Processed meats, such as Sausages, hot dogs, salami and ham are high-cholesterol foods that should be limited. Cookies, cakes, ice cream, pastries and other sweets are unhealthy foods that tend to be high in cholesterol, as well as added sugar, unhealthy fats and empty calories. Additionally, these foods are often devoid of the valuable nutrients your body needs to thrive. These include vitamins, minerals, protein and healthy fats. It’s best to limit or avoid certain high-cholesterol foods, such as fast foods, processed meats, fried foods and sugary desserts. However, certain lifestyle and dietary changes can reduce LDL levels and create a more favorable LDL to HDL ratio. Increasing dietary fiber, engaging in regular physical activity and quitting unhealthy habits like smoking are proven ways to decrease cholesterol levels. Though it’s safe for most people to enjoy the healthy, cholesterol-rich foods listed above, everyone should try to limit unhealthy, high-cholesterol foods like fried items, sugary snacks and processed meats. Tony, What is your take on the latest egg study suggesting eggs are now linked to heart disease? I eat three eggs a day and now I am starting to think I should stop. Chris, thank you for your comment. I would like to see that study. All of my research and the latest science is telling us we’ve had it wrong about dietary cholesterol and its effect on blood cholesterol. I will put several links here for you on articles I have written and podcasts I have done on this very subject. Mind you, everything is all source and backed by science. While you are there reading why don’t you sing up for my FREE newsletter so you can get recipes and other great information like this sent right to your email inbox. I hope this clears up a few things for you.